Come Shrawan and the kitchen would oscillate between feasting and fasting. On days like Shrawan Somvaar, Shrawan Shukravaar and Gokulashtami women would fast during the day and prepare for a feast for the evening after a pooja or a trip to the temple. 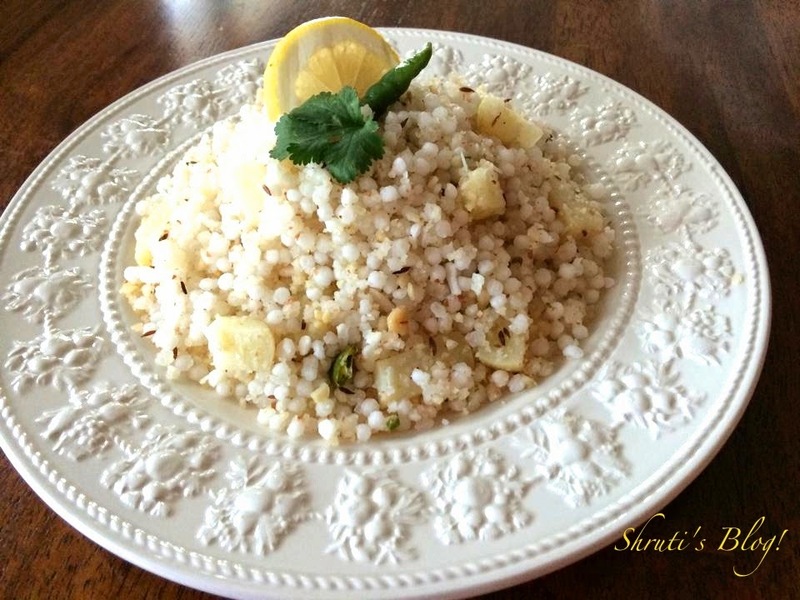 Sabudanyachi khichadi virtually would become a staple, not only for the women folk, but also for all at home. 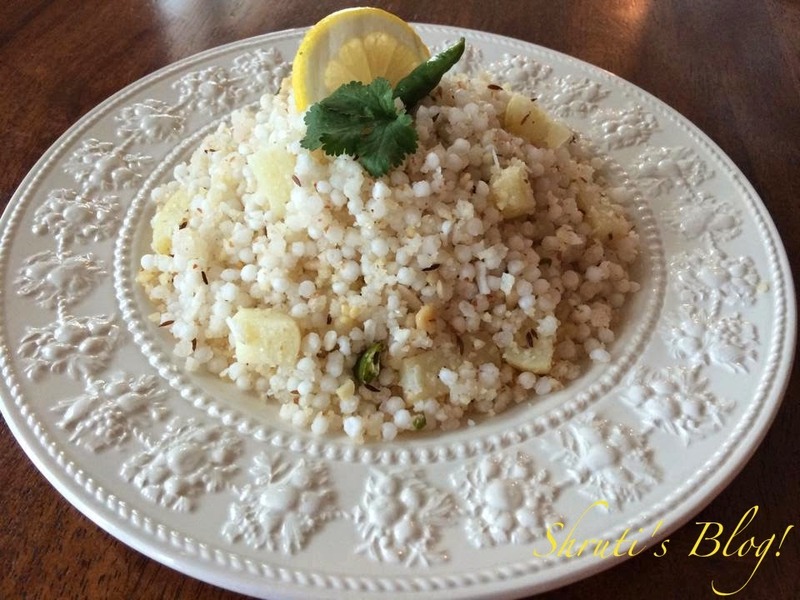 In one of my soliloquies on the sabudana khichadi, I had made an observation that whatever the quantity cooked, there never seems to be enough khichadi to go around at a family gathering or function. Even in the ordinary course at home, I can’t really remember leftover sabudana khichadi. Certainly not, when family members stake claims on the “kharpood” or the crisp caked bottom layer stuck to the pan even before they have spooned up a mouthful of the luscious pearls. The day this happens, meaning the day you have leftover khichadi lying around, could be the end of the good times. Or an ill omen signifying the loss of innocence, youth, and the ability to digest all kinds of stuff and yet evade acidity or a blood sugar spike. I also said in the piece that I haven’t yet come across a person who doesn’t like sabudana khichadi, except for those with a peanut allergy. But it’s time to modify and qualify this statement to – it’s rare to find a person who has a passion for the pearly dish and yet eats without a worry. Unfortunately, the pearls can’t even exonerate themselves with any additional nutritional benefits, for except for starch, there hardly seems to be any. Then again, aspersions have been cast on the pearls’ antecedents, implying a gory past and a mixed-blood origin shared with “millions of slimy critters”. I have actually tried to verify this slippery scam by watching, albeit with half-shut eyes, videos on how sabudana is made on Youtube. Luckily for me, there was no sign of the said creatures. This pure, unaffected, unpretentious innocence, I deduce, is the beauty, utility and strength of the starchy pearls. Starch, a carbohydrate of high natural abundance, is the most common constituent of human diet. Perhaps it was designed by nature as a reservoir of plant energy, contributing a major share of energy required for the sustenance of life – making it the quintessential "subsistence crop". Sabudana is one such pure starch. 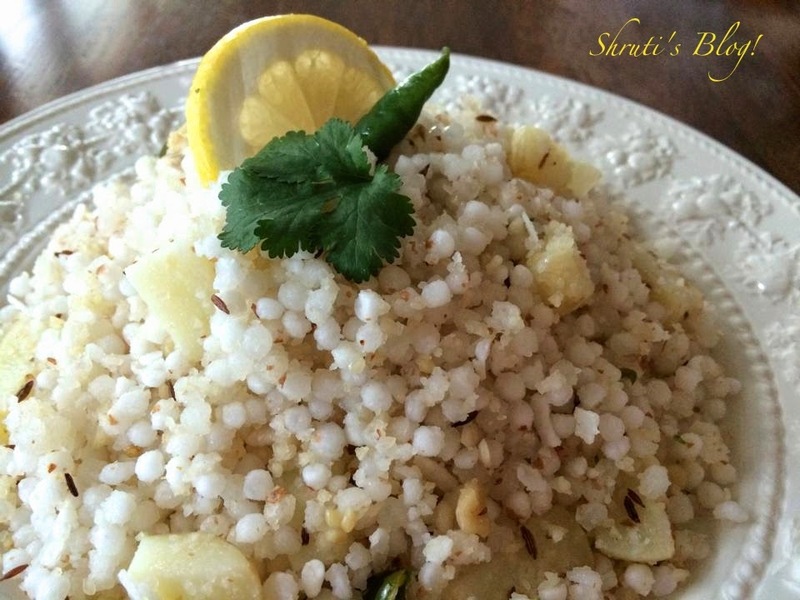 When mixed with peanuts, boiled potato, ghee, lemon and coconut in a khichadi, this starch instantly gains valuable Omega supplements, protein, iron, vitamins C and D.
The wisdom lies in using less oil or ghee or trying good oils like olive oil, substituting sugar with sweeteners and most importantly, eating small portions. The perfect pearls are vindicated. I rest my case. In a heavy bottomed pan, heat the oil and add the cumin seeds to splutter. Add the chopped green chillies and the diced and parboiled potato and fry till almost done. Since we get good washed potatoes here in Melbourne, I don’t peel them. Add the prepared sabudana mixture and mix thoroughly. Cook covered for a few minutes. Mix again and add the lemon juice, grated coconut and the tablespoon of ghee for the aroma. The sabudana will turn translucent when cooked and let out white steam. Keep stirring gently to avoid lumping. Serve garnished with the coriander and with some yoghurt or a wedge of lemon!